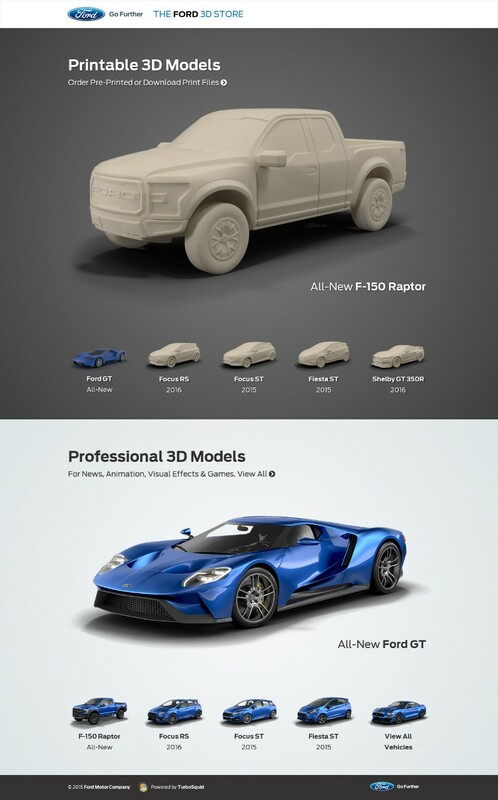 Ford is providing fans with the unique opportunity to 3D print their very own F-150 Raptor, Shelby GT350R, Focus ST, and Fiesta ST. How you ask? 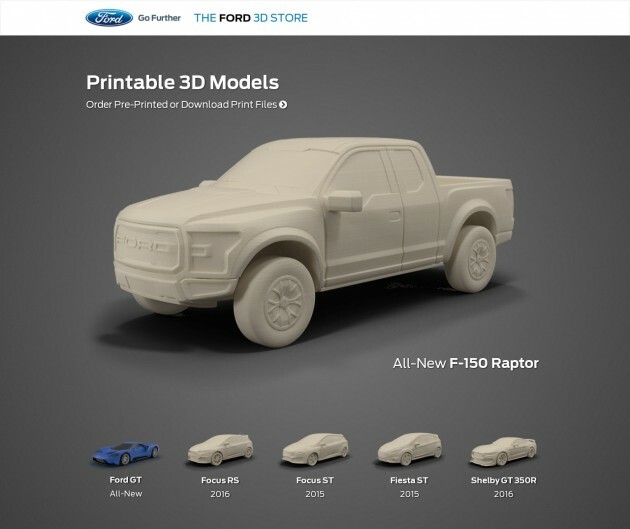 All you need is access to a 3D printer and some files available at The Ford 3D Store. 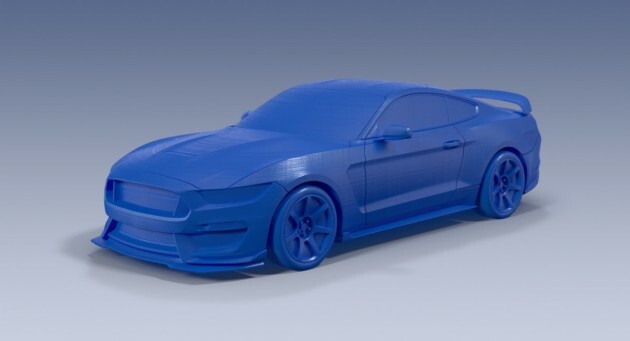 The Ford 3D Store allows you to buy the .STL files necessary to 3D print your own miniature versions of Ford Performance’s most exciting vehicles. For a limited time, the files are available for $4.99 a piece; if you don’t have access to a 3D printer but still want one, you can buy a pre-printed model for the limited-time price of $39 a piece. If you really want to go for the gusto, Ford is also selling a Limited Edition E3 2015 Forza Motorsport 6 edition of the Ford GT supercar, fully-colored and rendered smooth in beautiful sandstone. The GT will be shipped in a beautiful, laser-cut box, which comes standard with the $230 asking price. Ford says that it will make more digital files and more models available for purchase over time. Neat!